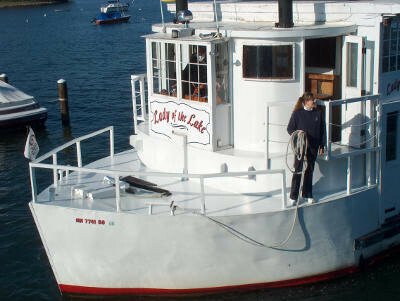 The Lady of the Lake is available for private charters as well. Private charters may be scheduled by calling (952) 929-1209 and talking directly with Captain Terry Jungers. Pricing is dependent on time, day of the week, and seasonal constraints and generally falls between $200.00 and $300.00 an hour. Schedule your affair well in advance as private cruise and charter times are in high demand. Captain Terry Jungers and his crew know Lake Minnetonka where large historic mansions line the shores. They know the best views and the how to experience the natural beauty of the lake. We can make your day more memorable for you and your guests. Call Captain Terry at (952) 929-1209 to schedule your event.